[Mesmerising Oracle]This title is an unofficial, amateur translation. Arulumaya dons a traditional outfit to enjoy Auguste's summer festival. 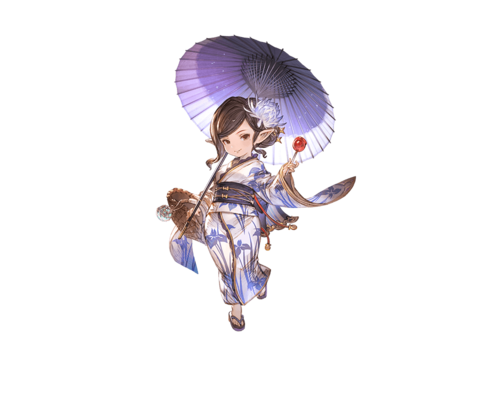 With her yukata, umbrella, and even the flower in her hair perfectly coordinated, this fortune-teller is the picture of elegance. From a delicious candy apple to the friend she shares it with, the memories of this night will never fade. Selene Timoria Big Dark damage to a foe. ⇧ Lvl 45This skill is enhanced at level 45. 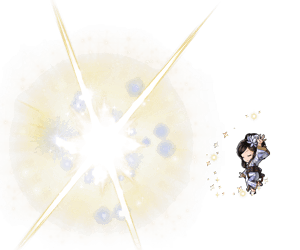 Dark damage to all foes (Damage cap: ~240,000). 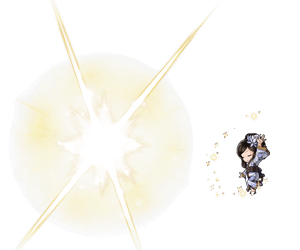 Dark damage to a foe (Damage cap: ~500,000). 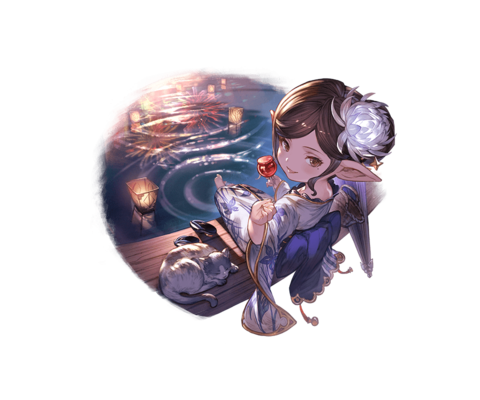 Requires completing Chapter 12 Story - Battle at the Falls to unlock her first Fate Episode. This page was last modified on 2 January 2019, at 07:35.